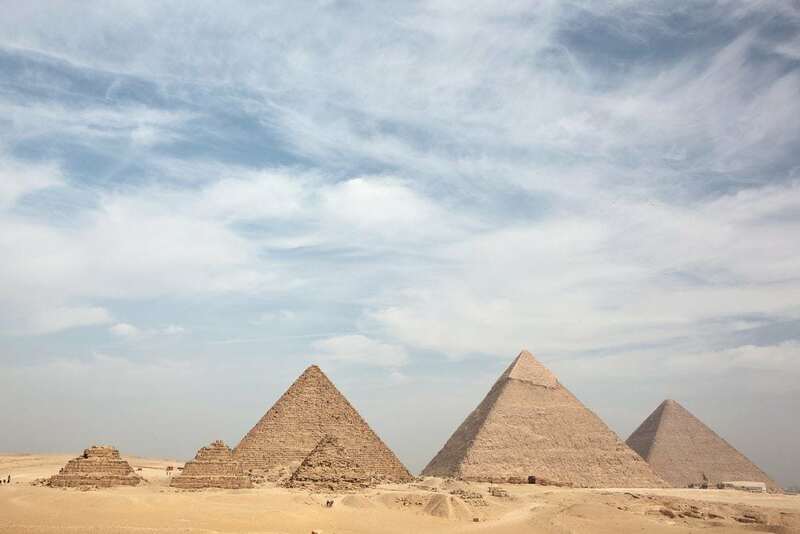 Enjoy our unprecedented Pyramids, Memphis & Sakkara Private Tour. 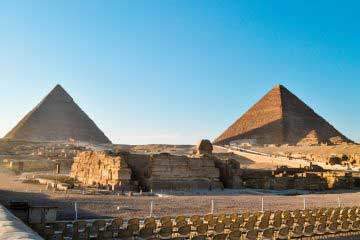 You will visit the Great Sphinx, Valley Temple, Sakkara Step Pyramid and Memphis; the ancient capital of the former Egyptian Empire. One of our courteous and knowledgeable representatives will pick you up from your hotel in a late model, air-conditioned, tourist class vehicle after your breakfast. 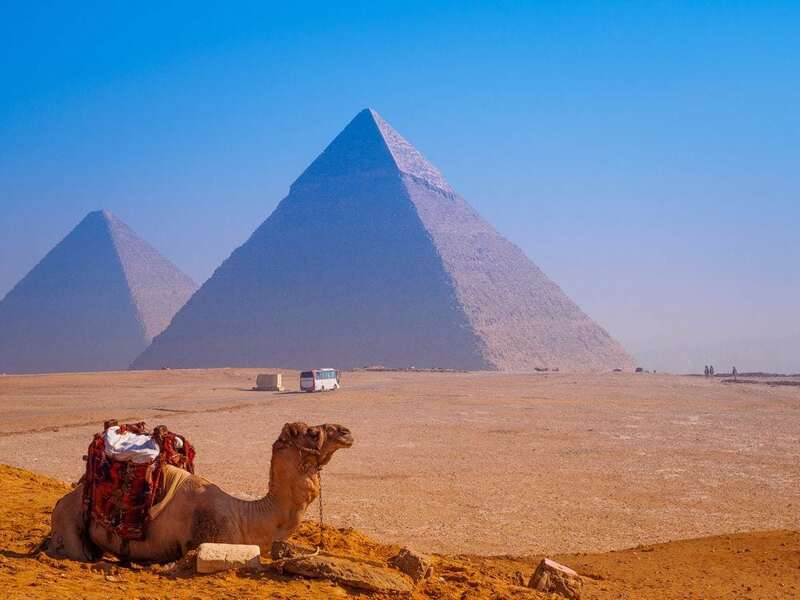 The first stop on this memorable journey will be a visit to the Great Sphinx, the iconic head of a Pharaoh with a lion couchant body. This enormous statue dates back to the time of Chephren. 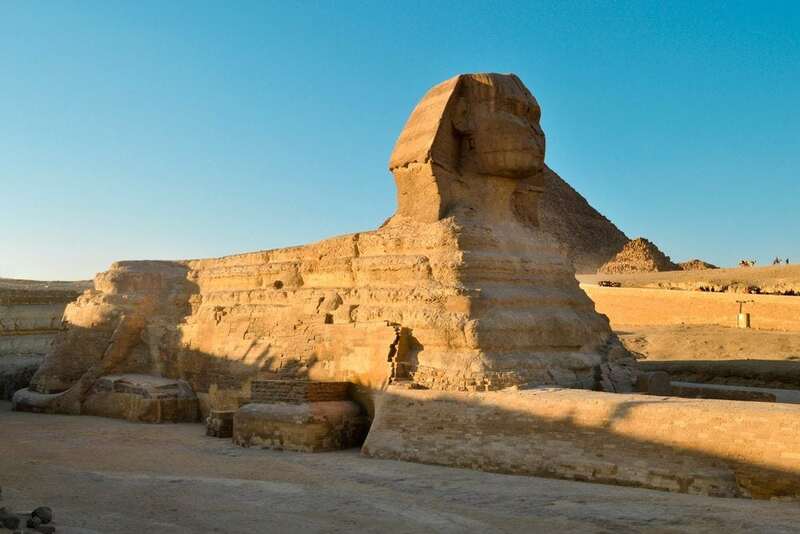 Learn about the “Riddle of the Sphinx.” From here, you will continue on for a visit to the Valley Temple, which includes the Pyramids of Chephren. 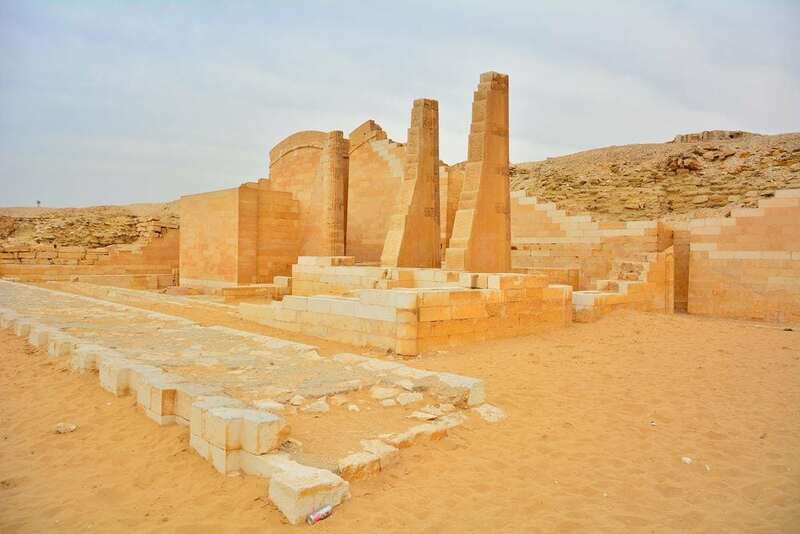 The Valley Temple was used in the mummification process of the king. 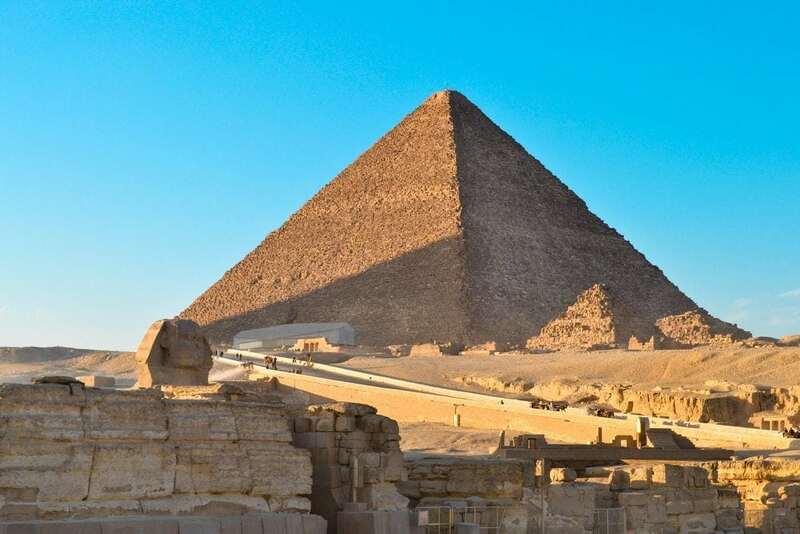 Afterwards you will see the Step Pyramid of Zoser, the world’s oldest major stone structure. 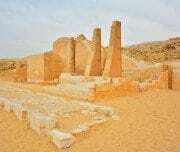 It was built in the 3rd Dynasty (around 2630 BCE) for King Djoser. 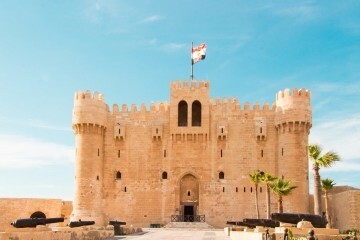 After this, you will be driven to Memphis which was founded by King Menes, and served as the capital of ancient Egypt during the Old Kingdom period. 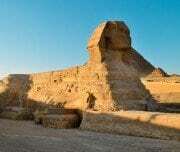 Memphis was believed to be under special protection by one of the Egyptian gods. 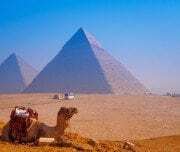 It was considered to be a center of rule and culture for over 3000 years. 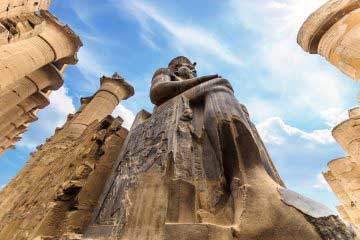 You will also see the famous Statue of Ramses II.